7+ Year with expertise in Digital Marketing and Brand Building online. 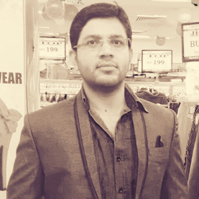 Known for his studious nature and insightful professionalism, Amit Kumar Sharma has been associated with the services of Usha Financial Services Pvt Ltd from a long time. Currently managing the Digital Marketing and Online Brand Building sections, this B.Tech (Computer Science) graduate has completed 7 successful years in his profession.